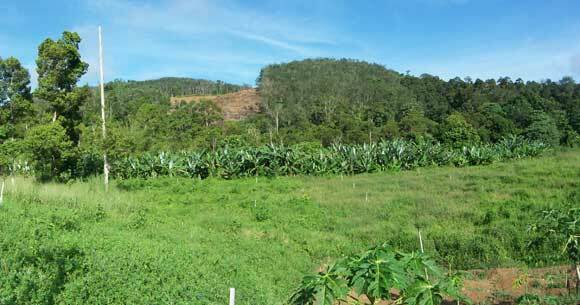 This is the view of the subject property and its surrounding from the government bridge. The bridge is well maintained by the government. 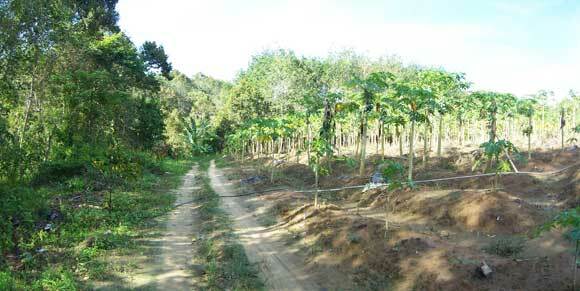 The subject property is planted with papaya (60%), ginger (30%), young mangosteen and young durian trees. It is totally flat. Another view of the subject property towards the back which adjoins the river. This portion is planted with ginger.